Visitors to Haworth at certain times of the year may be lucky enough to see men and women in nineteenth century clothing, but in a certain corner of Belgium this week there was an opportunity to see nineteenth century attire of a very different kind. That’s because this week marked the 203rd anniversary of the Battle of Waterloo. June 18th 1815 saw Arthur Wellesley, more famously known today as the Duke of Wellington, and his Prussian allies under the leadership of General Gebhard Leberecht von Blucher, inflicted a decisive defeat on the increasingly tyrannical Napoleon Bonaparte. It is a fascinating piece of history, but for the Brontës it was very much part of their present. 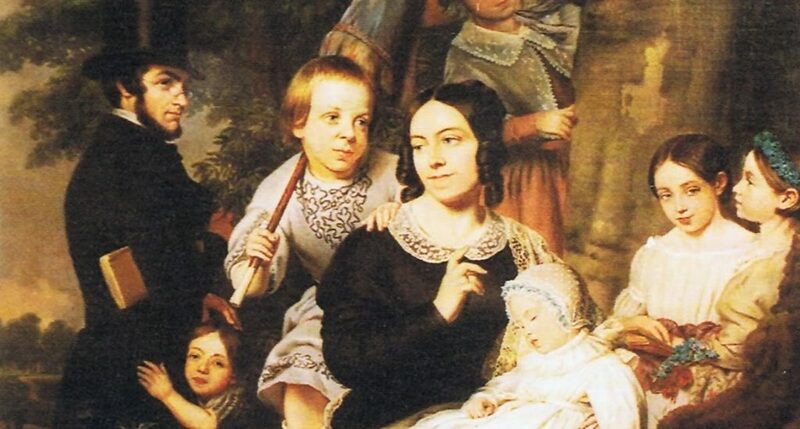 At the time of the battle, the Brontë family had four members: Patrick and Maria and their two daughters Maria and Elizabeth. Charlotte was born less than a year after the battle, followed by Branwell, Emily, and Anne. Throughout their lives the children would read stories about the heroism displayed on that Belgian battlefield, hanging on every word carried by jingoistic papers they read such as ‘John Bull’. Their father, Patrick, was a great admirer of his fellow Irishman Arthur Wellesley, the Iron Duke, and would often talk of his exploits and his genius when it came to war. 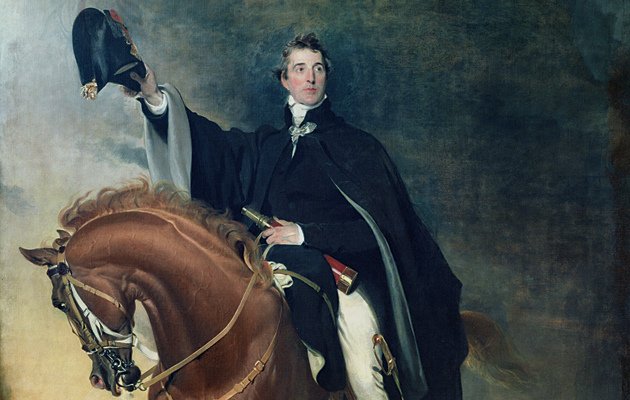 The children were enthralled by these tales, and soon began to worship Wellington themselves. On 5th June 1826 an event occurred which would change the course of literary history forever. It is no surprise that Charlotte named her soldier Wellington, she worshipped him in the same way that a young girl today would worship the latest boy band. In Branwell’s choice of Napoleon, we also get an early glimpse of the rebellious streak that was later to become so painfully apparent. There is one particularly fascinating object belonging to the Brontë Parsonage collection – a fragment of Napoleon’s coffin! It was presented to Charlotte by Constantin Heger, her Belgian tutor and the unrequited target of her affections. 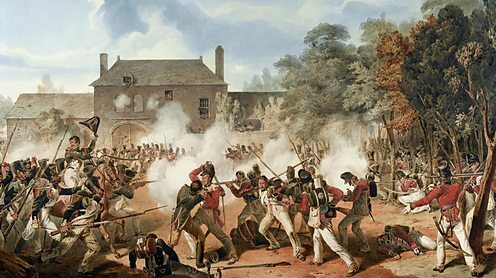 The voyage of Charlotte and Emily to Brussels in 1842, to study at the Pensionnat Heger with a view to later setting up their own school with Anne in Haworth, brought them close to the Waterloo battlefield, and indeed Brussels at this time was home to many British ex-servicemen and their families who had fought in the battle. It is believed that Patrick, who travelled to Brussels with his two daughters, took the opportunity of visiting Waterloo before returning to England. Years later, Charlotte finally met her hero. On 12th June 1850 she, by then a successful author but the last surviving of the six Brontë siblings, wrote to Ellen Nussey to say that she had seen the Duke of Wellington, by then in his eighties, in London’s Chapel Royal. Charlotte’s childhood adoration resurfaced, her mind went back to the soldier she had snatched up, and she wrote that he was ‘a real grand old man’. If the Iron Duke had not defeated Napoleon on that June day more than two hundred years ago, the course of history could be very different. Wellington may not have been worshipped in that Yorkshire parsonage, the soldiers may never have been bought, and we may never have had those seven magnificent Brontë novels. That’s why lovers of Anne Brontë and her sisters should this weekend raise a glass and toast the soldiers of Waterloo, and their courage to face head on tyranny and evil, to face it and defeat it.